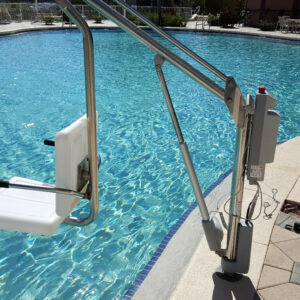 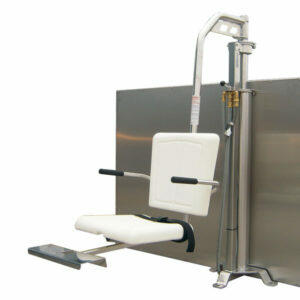 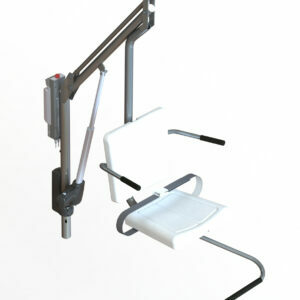 The battery powered Glacier Platform Lift is a true advancement over all pool accessibility systems on the market. 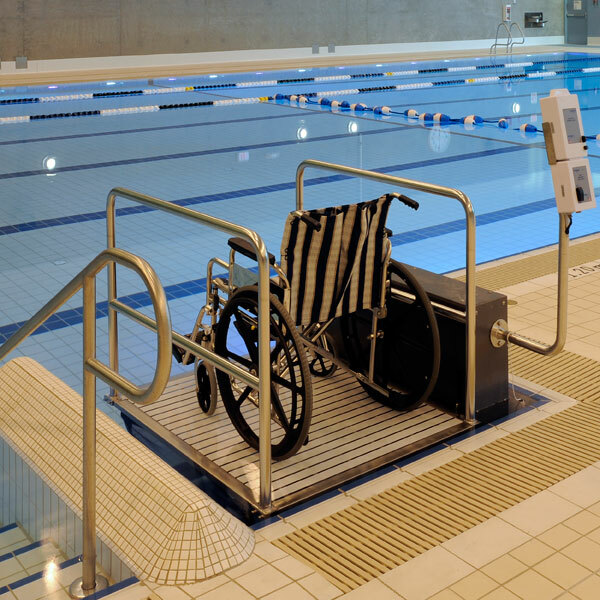 The innovative design enables easy and safe pool access without compromising pool aesthetics and allows patrons to enter and exit the pool with dignity. 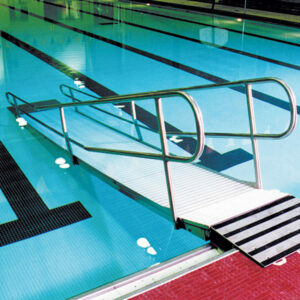 The same ease-of-entry as a ramp at a fraction of the space!